If there’s anything you wanted to know about the Solar System, it’s safe to say that it’s probably somewhere in this book. A work of ambitious scope and detail, and clearly a labour of love, Exploring the Solar System guides us through our local universal neighbourhood in great depth. Exploring the Solar System achieves what it sets out to do. 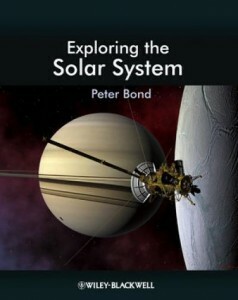 It is a well-written and produced textbook covering many aspects of solar system science. For the general reader, it sits on the more complicated side of the general popular science level, and even those undergraduates without a strong background in physics or astronomy might find some of what is covered a little bewildering. For those studying planetary science it provides an ideal introduction across a wide range of topics at an appropriate level, but will leave some looking for more.